Over the last couple years, I've been fortunate to be a part of the movement in acknowledging diversity in the sport of rock climbing. It's been really cool to see the growth in our sport and even more compounding when I can attend an event like the Color the Crag last October. No other time in my 30 year climbing career had I felt a sense of unity and collective stoke than that weekend at Horse Pens 40 in Alabama. But what about the years before? What was it like being the only Asian guy in my microcosm of sports growing up in Southwestern Virginia (the "country" side of the state)? To answer in short, it was fun. Sure, there was the occasional KKK experience or just random racist remarks to my mother and me. Sure there were times where I was bullied for looking different and teased about my eyes. But when you're the only person you know that looks different, you learn to not spend the energy in fighting these fleeting battles and continue looking forward. Whether it was because I was naive to believe racism was nothing more than superficial (remember, I was only a kid), or I never wanted to believe that I was limited by where I was in life, I always believed the world in which I grew up was filled with so many cool things and opportunities. I've always felt empowered to do the things I wanted and I owe much of it to my mother. She was, and is still moving forward. Just last night I called her and she was running around packing frantically for her morning flight to Vietnam, a flight she booked earlier in the day. I can only hope to have that kind of exuberance at 79. I still look back to those days of coming to America, starting with nothing, and seeing the amazing life my mother dreamed about come to fruition. 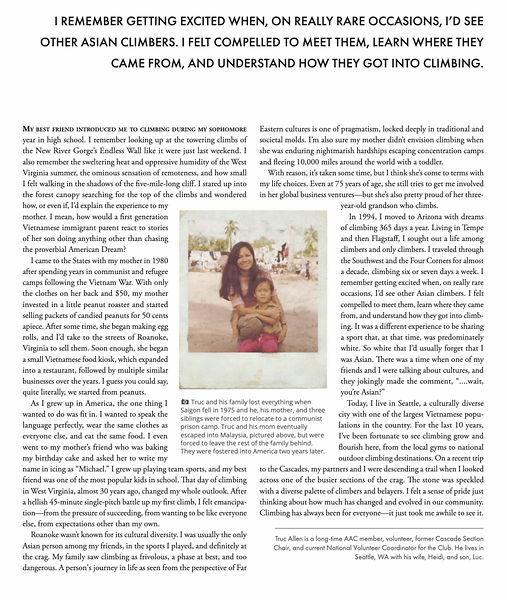 Last year, I worked on a story with the American Alpine Club in telling my story as a climber growing up through the changes, and the changing faces. Check out the story below. Climbing From Counter Culture to Mainstream. 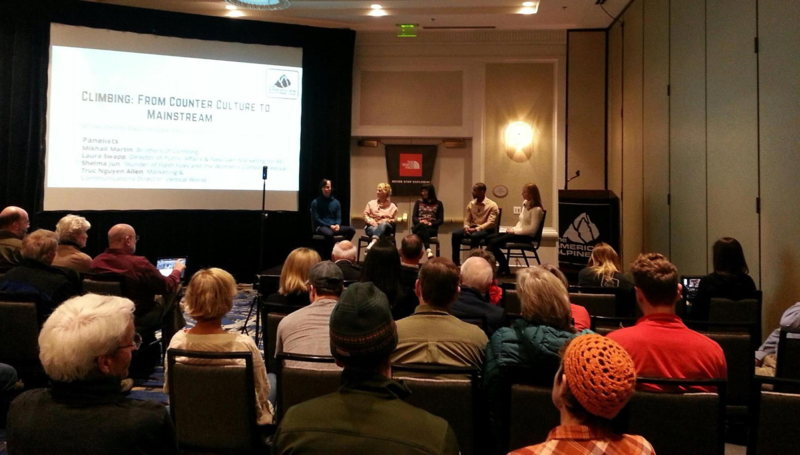 A Discussion on Diversity in Climbing with the American Alpine Club Annual Dinner. With Mikhail Martin and Shelma Jun.